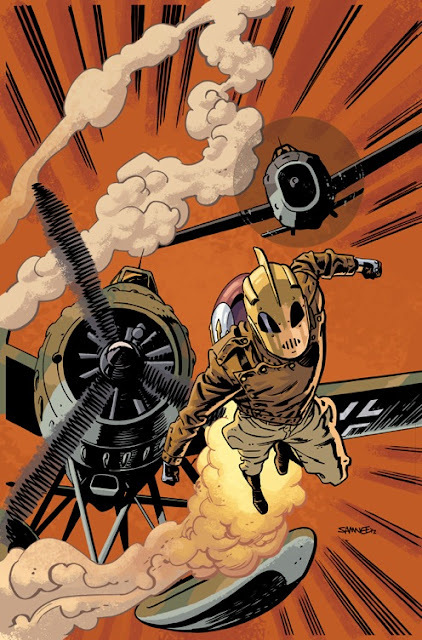 Chris Samnee: Rocketeer: Cargo of Doom #1 out Wednesday! Picking this up after work today! Waid and Samnee on a Rocketeer book is like a dream come true! I still put my eyes on your page about once a week. Really enjoy the blog and sketches posted, looking forward to the fall. Really enjoying DD, makes me treasure my Con sketch (DD & Elektra) even more ;). Mr Samnee, awesome job with the Rocketeer! What a great idea to have you on that character and time period. I'm sure it's a heck of a lot of work, but it's awesome to have a regular Rocketeer book! Took a double-take to realize the gargoyle on cover #2 is a pterodactyl! Keep up the fantastic work.